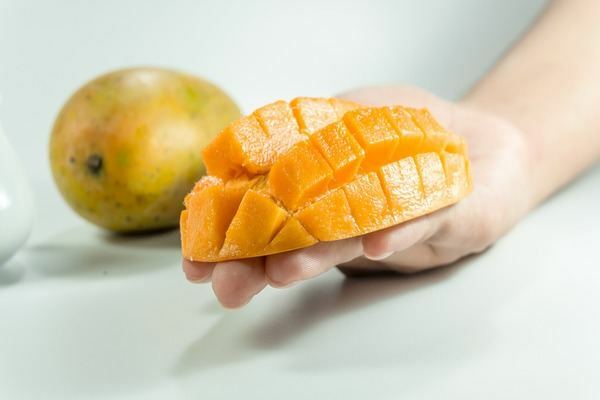 Each mango has approximately 45.9 grams of sugars – which make up almost the full amount of its 50.33 grams of carbohydrates. The main type of sugar in mango is fructose. Fructose can only be digested by the liver, and too much puts a strain on this vital organ. It can lead to conditions like diabetes, heart disease, or cancer. On the scale of sugar levels in whole fruits, mangoes are in the upper midrange. Other similarly sweet fruits are red and green grapes, Fuji apples, passion fruit, gold kiwis, sweet cherries, pomegranates, and bananas. Less sweet fruits include strawberries, avocados, raspberries, blackberries, lemons, and limes.